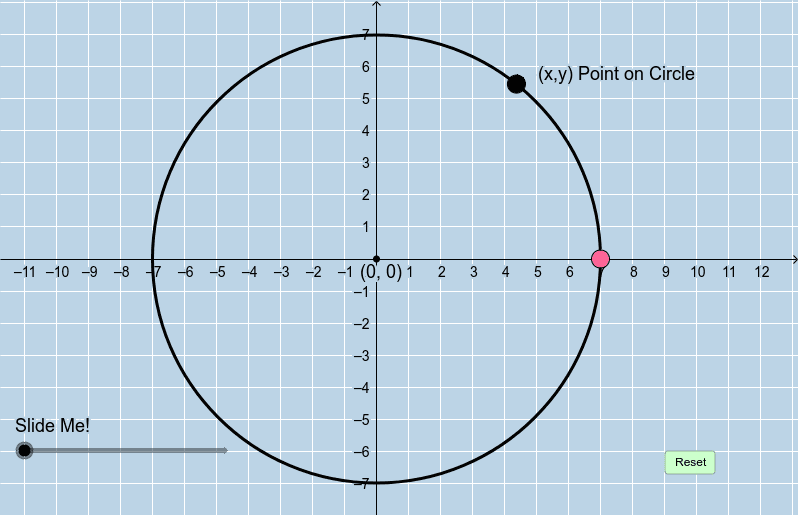 Suppose P(x,y) = any point that lies on a circle with center (0,0) and radius 7. Use what you've observed to write an equation that expresses the relationship among x, y, and r.
What is the equation of a circle with center (0,0) and radius r = 9? Suppose another circle has center (0,0). Suppose this circle also passes through the point (12, -5). Write the equation of this circle. Suppose P(x,y) = any point that lies on a circle with center (0,0) and radius r, where r > 0. Use what you've observed to write an equation that expresses the relationship among x, y, and r.